Ideal for smaller events this facility offers a separate refreshment or break out area along with traditional board room facilities. Also offers a terrace overlooking the cricket pitch. The Boardroom is on the third floor and complete with bar and dining area, which can seat upto 16 people. 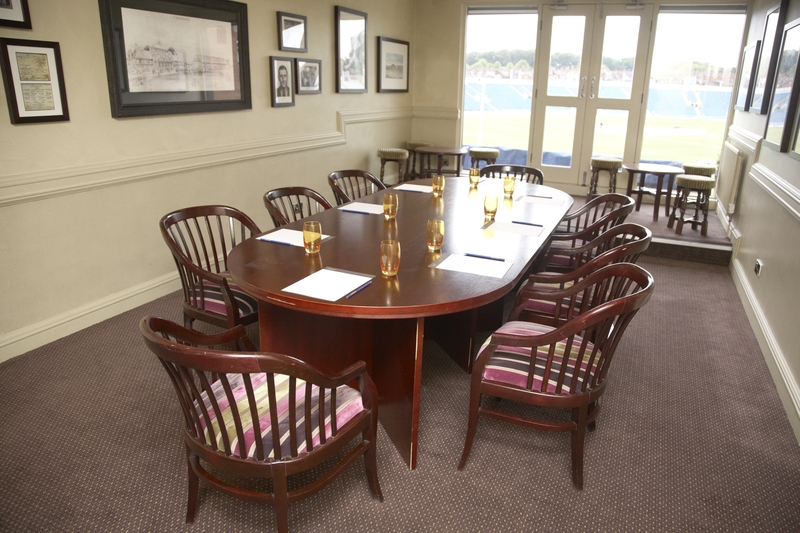 The Boardroom overlooks the cricket ground. All of our conference and meeting rooms are equipped with modern equipment and there is an added bonus of free car parking for you and your guests.